Mouth music, puirt a beul in Gaelic, is the music that arose when music instruments were banned (presumably after the '45 uprising). Gaels used to dance to musical instruments and when the instruments were banned, Mouth Music was invented to replace the instruments. A lot of the lyrics are meaningless, and the meaning behind the rest of the words is usually not that deep either. However, it is not just mouth music that has meaningless lyrics - waulking songs (songs for waulking tweed to) also have these meaningless lyrics (call vocables). The vocables are important in many songs though, they give the song its rhythm and this is why no two songs have the same vocables. Puirt a beul comes in all forms, people tend to associate it with reels, but it can also be associated with strathspeys. I started to learn "Mor a' Cheannaich" last week, which is the Strathspey part of next year's choral "puirt" competition at The Royal National Mod. 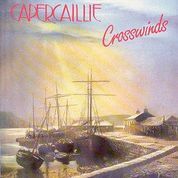 This song appears on the Capercaillie album "Crosswinds" and is simply entitled "Puirt a beul". They also did another puirt on the following album , that song is called "Fosgail an dorus" and is on the "Sidewaulk album".